Filtrerpreneur Franchise Inc. is the No.1 Food cart franchise provider in the Philippines producing quality food products for every business starters and Filipino entrepreneurs. Innovations for small business starter and business ideas like the food cart kept improving since the late 90’s because Filipinos today are learning to be entrepreneurs. Food cart franchise is a system already built to stand out in the busy market placed all over the City of Manila.The most popular food cart madness today is siomai; 8 out of 10 Filipinos really like siomai a lot because it can be eaten any time of the day. This is the reason why it became a fad business food cart here in our country. Additionally, siomai food cart franchise business and other type of food is very easy to handle since it is just a matter of minutes to serve these gourmet treat. Chinese gave us this food culture siomai when they started living in the Philippines as residents. By this time, food carts of food cart business flourished in malls, streets and mostly on MRT and LRT stations. Company vision includes food cart business success to fellow Filipinos in the Philippines to be free from debt and live a happy life. Teaching and educating each individuals to take action in regards of business building to be an entrepreneur. Helping individual on how to make their own assets to build and develop ideas, skills of management to reach success. Filtrepreneur Franchise, Inc. (FFI) was established with the first purpose of tapping into the entrepreneurial spirit that we tend to believe lies in most Filipinos getting to reach a business venture. this economic trend has placed a replacement specialise in a way to generate additional “job creators” in our financial system, and has created the thought of a worldwide celebration of entrepreneurship as a path to positive growth particularly relevant.
" 2011 ASIA PACIFIC AWARDS " - OUTSTANDING FOOD CART FRANCHISE BUSINESS "
food cart franchise business here in the Philippines. In 1992 Red Cricket Vending ideas Inc. established its factory in Sangandaan, Quezon town. Supplying siopao, siomai, fishballs, kikiam, etc. to the market. In 1996 Red Cricket established it’s own whole of food carts MY PAO and JACK’S. as a result of several business inquiries for franchise and merchandise provides Red Cricket opened MY PAO and JACK’S for franchise in year 2000 that grew to sixty shops. Filtrepreneur Franchise, Inc. (FFI) was established in 2006, since then the quantity of Franchisees has increased considerably from when FFI initial started, and with the continual support of a loyal and growing client base throughout the country, our Company can continue to grow and improving with the ever increasing market demand through a comprehensive and systematic program each for the Franchisee and therefore the customers. True to the commitment of providing Filipinos with the most effective quality food product. 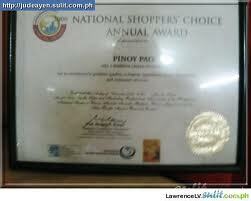 To be recognized and revered because the most successful franchise network selling company within the Philippines. FFI is committed to uplifting the lives of each Filipino by providing totally reliable and competitively superior merchandise, empowering him with the business data to become a successful business owner by fostering client enthusiasm through the mixing of individuals, technology and business systems.